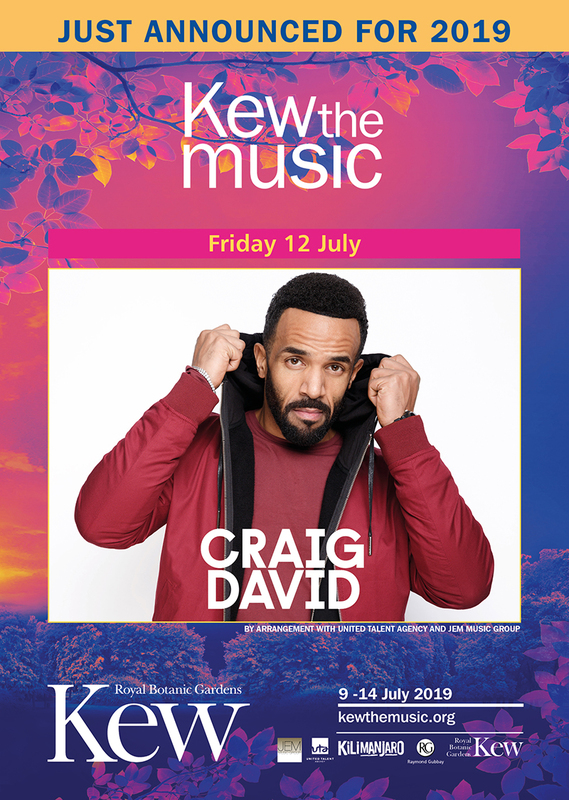 Craig David headlines Kew The Music 2019 on Friday 12th July. It is 18 years since his debut album, the critically acclaimed ‘Born To Do It’, was at Number 1 all over the world, selling 1.5 million copies in the United States alone and spawning Billboard Chart Hits ‘7 Days’, ‘Fill Me In’ and ‘Walking Away’. In 2016 his latest album, ‘Following My Intuition’ stormed straight to the top spot in the UK Official Albums Chart, and was in the top 10 chart in over 30 countries. A headline UK arena tour followed and sold-out in seconds and he returns this summer to the iconic Ibiza Rocks for another landmark 12 week residency with his world renowned DJ show TS5. With his single ‘I Know You’ featuring Bastille becoming a top 5 hit in the UK charts and his recent album ‘The Time Is Now’ reaching number 2, it would be an understatement to say that the last year has been anything short of monumental for Craig.